We had gone to a couple different pumpkin farms, but we never got around to carving our pumpkins. We remedied that today. Better late than never, I suppose. I didn’t want Namine to do the actual cutting, but I still wanted to involve her as much as possible. So I asked her what she wanted to carve. "We should make a ghost!" 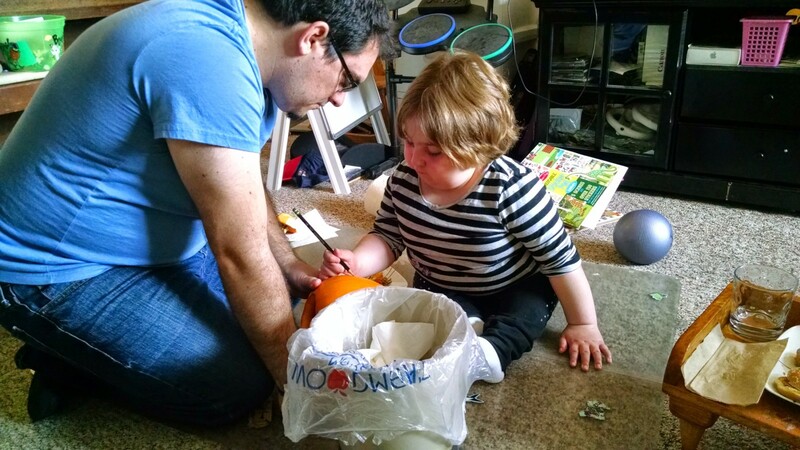 The first order of business, of course, was to empty out the pumpkin. 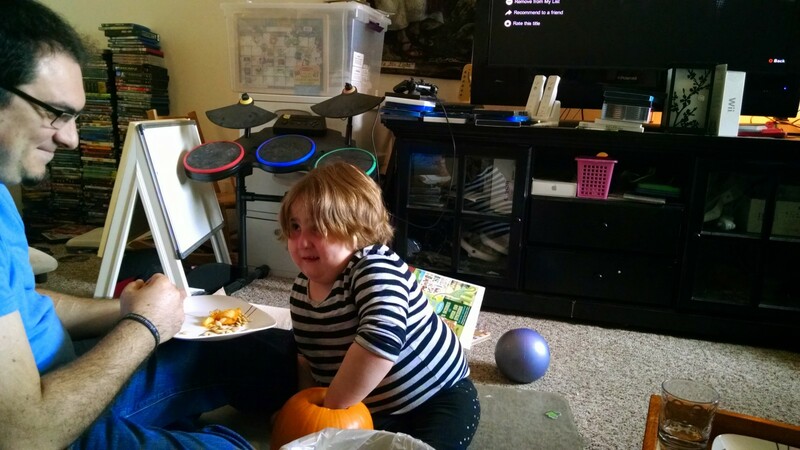 So I cut out the top and showed Namine what the inside of the pumpkin looked like. 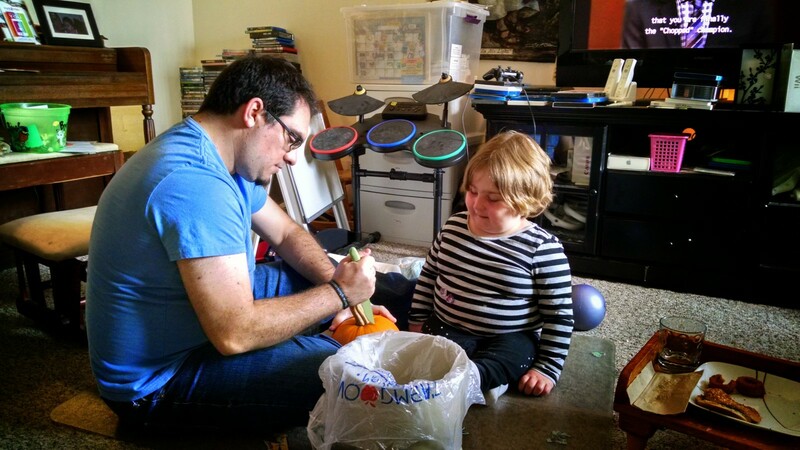 It took some persuading to get her to stick her hand inside the pumpkin in order to empty it of its guts. Before we started carving, I asked Namine to draw the ghost on her pumpkin. Then I set to carving. While I was carving her pumpkin, Namine watched intently. I’ve never been all that good at carving pumpkins, but it was easy enough to follow her drawing. It bore more resemblance to a linoleum cut than the carving of a pumpkin, but I followed Namine’s direction. 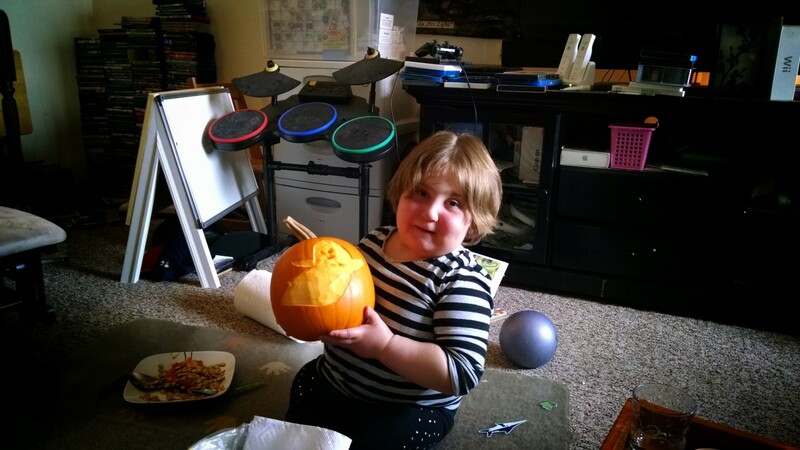 She wanted the majority of the ghost shaved off the pumpkin, not cut all the way through. I think it came out great! Good choice.